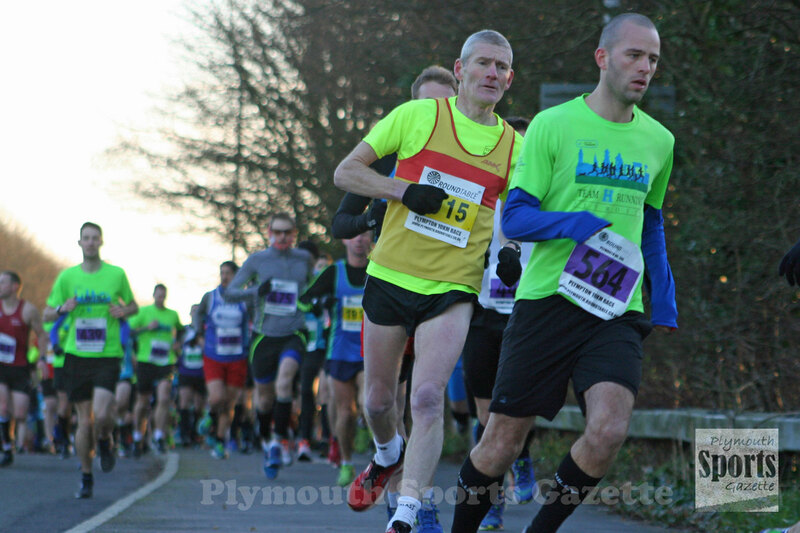 BEN MORRISH managed to hold off the challenge of Torbay veteran Pete Monaghan to win the 2018 January Jaunt 10k. The event, which starts at Marsh Mills and takes runners into the Saltram estate, produced a good battle between Morrish, previous winner Monaghan and George Graham. Morrish, however, was able to pull away in the closing stages and win by six seconds. He clocked 35 minutes and 51 seconds, with over-50 star Monaghan finishing in 35.57 and Graham 36.09. Those three were well ahead of everybody in a race run in freezing temperatures. First women home was Looe Pioneers’ Joanne Robinson, who clocked 43.17 minutes. Second female was Team H Running’s Joanne Hudson, who finished in 43.35, with Plymouth Musketeers’ Rachel Tarrant third in 44.22. The race, organised by the Plymouth Round Table, once again produced an impressive entry, with all the local clubs well represented, despite other major events taking place on the same day.